Recently, advances in optical imaging of the living brain slice preparation have permitted neuronal circuitry to be examined at multiple levels, ranging from individual synaptic contacts on dendrites to whole populations of neurons in a network. 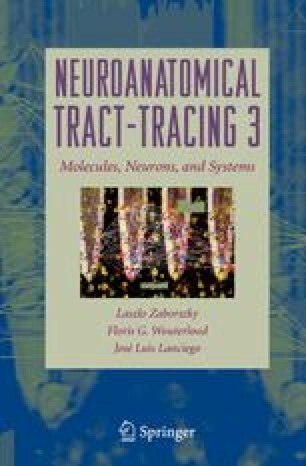 In this chapter, we describe three techniques that, together, enable a powerful dissection of neuronal circuits across multiple space scales. We describe methods for (1) combining whole-cell recording with two-photon calcium imaging and electron microscopic reconstruction to examine the functions of individual synapses and dendrites during synaptic stimulation, (2) imaging hundreds of neurons in the brain slice simultaneously to examine the spatiotemporal dynamics of activity in living neuronal networks, and (3) performing an unbiased, quantitative analysis of neuronal morphology that is increasingly necessary in light of the multiparametric structural diversity of distinct neuronal subclasses.